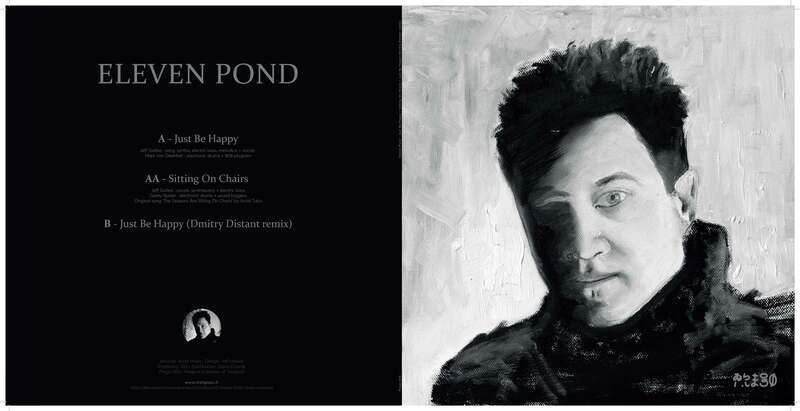 Eleven Pond formed in 1986, released one postpunk/ synth pop/ darkwave LP titled ‘Bas Relief’ and recorded songs for a second LP titled ‘Assemblage’. The band breaks up in 1987, the masters were shelved. In 2009 the song were rediscovered, DJ’s play them, a reissue LP on Dark Entries, the original LP becomes a $900 collectable, invites to perform live… in 2010 Jeff Gallea reforms Eleven Pond and releases a cover of the « Seasons are sitting on chairs » from Arvid Tuba and a few great songs like « Happy ». As we love the insane modernity of these two we decided to release them on Prego and asked Dmitry Distant to remix this happiness anthem. All songs are remastered for vinyl by Isolator, housed in a jacket designed by Anda Masq & Rodeo Basilic. Eleven Pond – Just Be Happy from sahaz on Vimeo.